This is a dedicated oil burner that really works. Updated waste oil burner design with longer burns between cleanings! 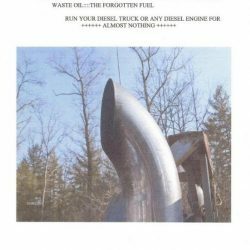 You are about to purchase an Ebook featuring a construction article on how to build a waste oil pot burner with a removable insert. This article is the result of 5 years of trial and error in the building and running of this waste oil burner. 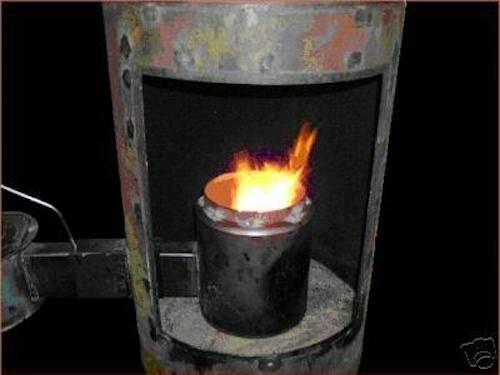 You can feed vegetable oil, transmission fluid, crankcase oil, and even old hydraulic oil in this burner and it will produce no smoke or foul smells while running. Included in this *75 page document are parts descriptions, tools list, and feedback from people who have built the burner and tips and hints on how to run it and use it. It can also be adapted to heat water for multiple purposes including radiant floor heating in the included section about how to construct a flame tube heat exchanger. I have also used it outside the stove to melt aluminum and to heat my pool. 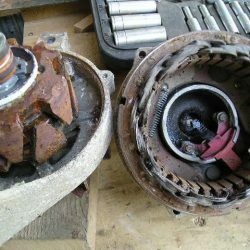 The makeup of these stoves and parts are made from discarded hot water heaters, car parts and old electric motor bands or anything you can substitute. I have also included two different methods of controlling the forced air necessary to make this pot burner burn extremely hot and produce results that presently heat my 1200 sq ft shop with 10-foot ceilings without a problem. You won’t be disappointed as you follow a unit under step by step construction with actual photos showing the relationship of how the pot burner goes together, mounting techniques of the blower to the burner and diagrams of controlling the speed of the blower motor. If you have a MIG welder and some simple cutting tools, you can construct this entire stove set up in a weekend. 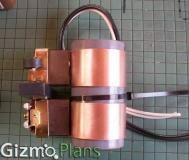 Its use does not stop as just a heater as it can be easily adapted to heating pools, spas or greenhouses. Your imagination in where it gets used is the only limit. 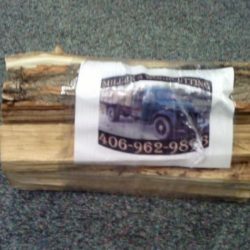 I have had people build just the burner and install it on their old wood stove. 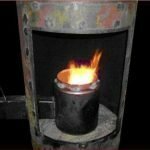 So, if you have access to a supply of used oil, and are tired of cutting the tree, cutting the logs, splitting the logs, carrying the wood, stacking the wood, filling the stove and taking out the ashes… this burner is for you. The product is delivered in PDF format via email.